1) It was shot and edited by my buddy Ian Fernandez Cuevas, who is the vocalist for Brimstone In Fire when he's not running his multimedia empire Demiurge Digital. You can see more of his vid skillz here. 2) In addition to being a death metal OG with Brimstone, Mikah plays drums in the live D&B band Helen. 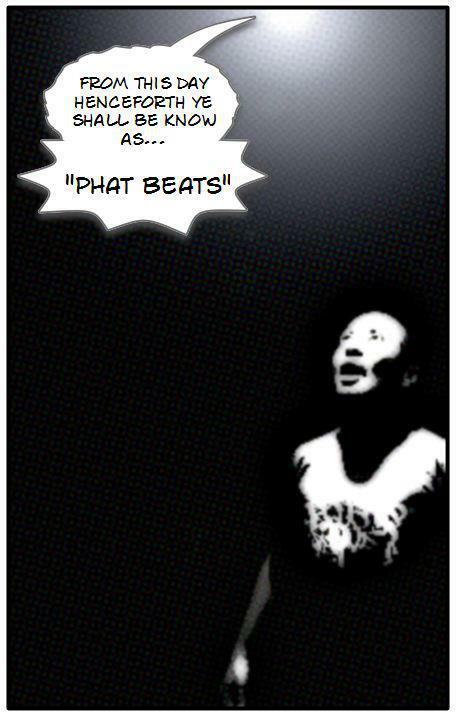 3) The nickname "Phat Beatz" was coined by this author, when I saw Brimstone In Fire last August. The fact that it's caught on is just a taste of the awesome power I wield. LOOK ON MY WORKS YE MIGHTY AND DESPAIR! Dreams of Consciousness already has a nickname picked out for you; but you'll have to like us on Facebook to find out what.